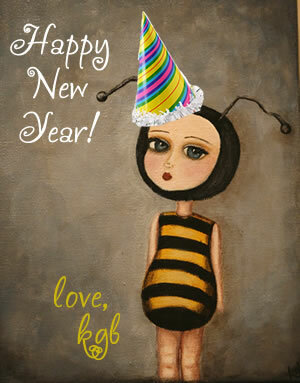 Happy new year from the hive! I can’t even begin to express how grateful I am for the support my lovely customers have shown me in 2012. I truly feel blessed to get to make art that makes people smile! I have so much to be thankful for from 2012 & so many exciting ideas I want to work on in 2013. Right now, however, I’m late for a sushi date with my family, so I’ll leave you with well wishes & sparkly celebrations! Until next year!